The event at Darts Farm attracted more than 50 businesses from the South West and beyond, many of whom already have solar PV systems in place at their sites and are now looking for the next step to reduce their reliance on energy companies further. 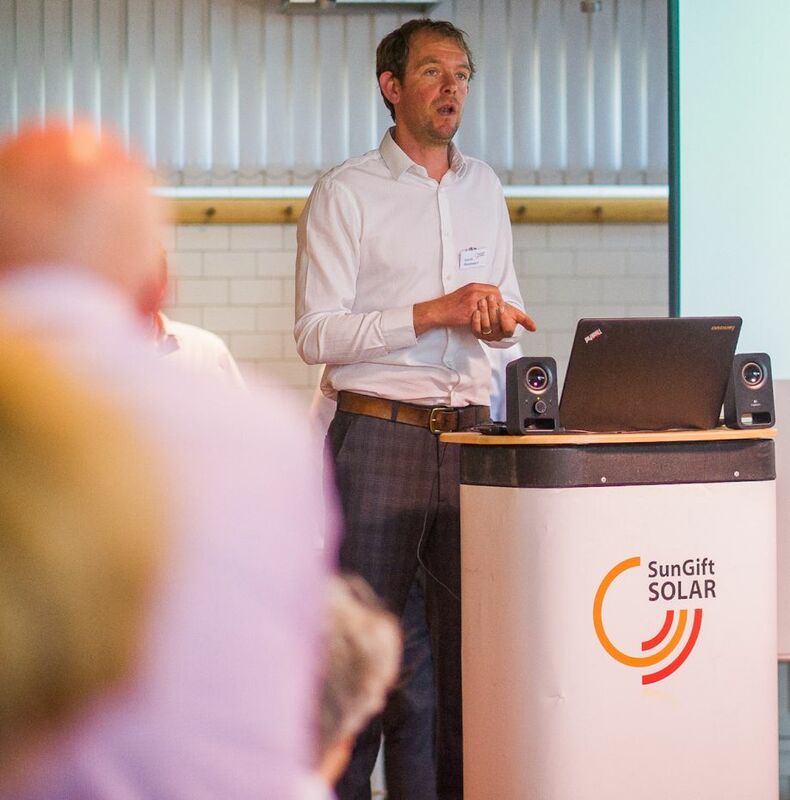 A renewable energy event – hosted by Exeter’s SunGift Energy – has shown South West businesses variety of industries how the latest battery storage technologies can help future-proof their businesses. With representatives from global leaders on hand, the event demonstrated the unique flexibility of their latest battery storage devices, which are giving businesses energy security, reducing their peak electricity usage and therefore reducing electricity costs significantly. “It may sound futuristic,” said Gabriel, director of SunGift Energy, the UK Clean Energy Contractor of the Year, “but the truth is that the technology is already available that enables South West businesses to dramatically reduce the amount of peak energy that they buy from their energy companies. The new generation of batteries are designed to charge up when the price of electricity is at its lowest and then kick in to provide businesses with usable electricity when costs are higher, typically between 4pm and 7pm. Not only does this reduce businesses’ electricity bills significantly, but also it helps reduce the demand on the electricity grid when the general requirement for electricity is at its highest. 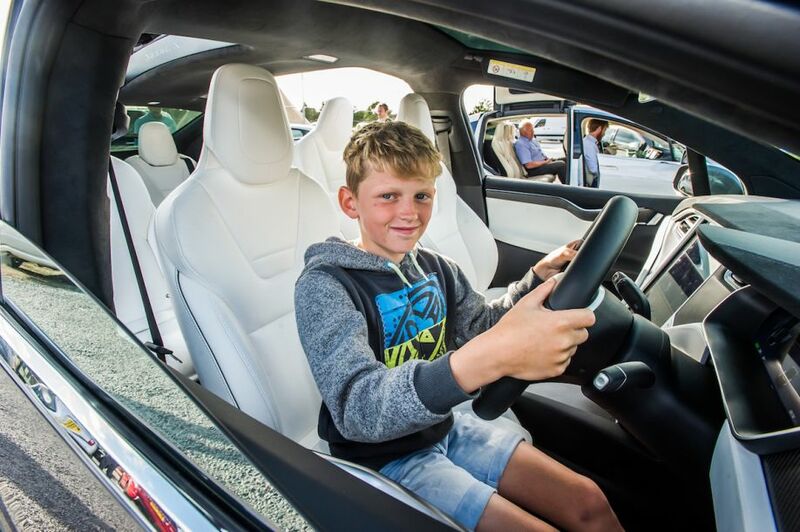 In addition to presentations about the technologies, the event was an opportunity for delegates to test-drive the latest range of electric vehicles, which can accelerate from 0-62 mph in as little as 2.5 seconds, with driving ranges of more than 300 miles before they require a re-charge. 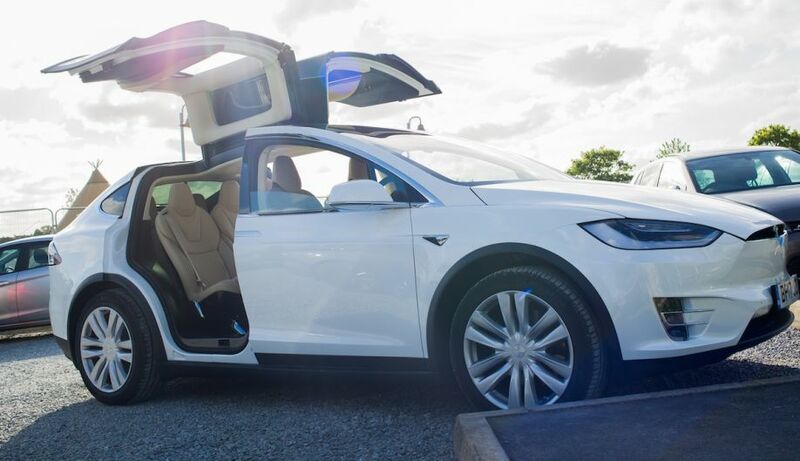 This allowed guests to see the full life-cycle of generating renewable energy from solar panels, storing it in batteries, charging electric vehicles, and then experiencing the exceptional quality and performance of the vehicles. Recently, an Exeter housing developer, Heritage Homes. became one of the first in the UK to integrate solar PV with electric vehicle charging points and other energy efficiency technologies. Setting new standards of sustainable energy for houses, Heritage Homes worked together with SunGift Energy to fully-integrate the very best new technologies into each individual house. A North Devon food service company has also recently asked SunGift to integrate an industrial-sized battery pack into its headquarters. This will enable the factory to store electricity generated during periods of low demand and release it when demand peaks, meaning less reliance on (and payments to) energy companies. The event took place at Darts Farm in the Estuary Suite. Darts Farm itself uses 100% of the electricity it generates from its solar panels onsite, saving 80 tonnes of CO2 per year (https://goo.gl/12Gx4d). SunGift Energy is a renewable energy and energy efficiency specialist that offers a personal design service and tailored systems to meet its customers’ exact requirements. It fits a whole range of renewable energy technologies but specialises in solar panels for domestic and commercial customers.